In recent years a lot of my projects have been residential alteration and addition projects. 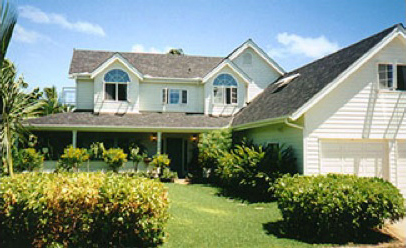 However, I have also done both top-end and modest new custom homes on Oahu, Maui and Kauai. I work closely with the owners to design according to their taste, lifestyle and budget. My personal attention to each project and it's many details assures professional service in all areas of the project, such as conceptual design, feasibility studies, detailing the design, and getting through the red tape of permit processing. Below are a few examples. 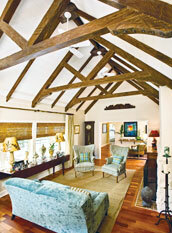 Hackett helped them design a new home with the historical integrity of the old one in mind. “The architect did a great job on the big picture,” says Siebenthal. The charming entry leads to fabulous ocean views from nearly every room in this luxury home at Black Point. 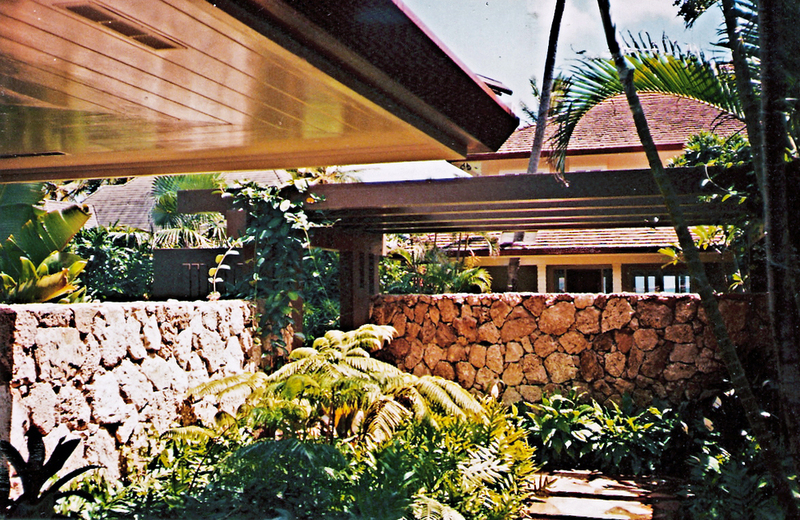 Although the site was a rocky hillside, we were able to create space for a level backyard and swimming pool surrounded with lush tropical plantings. 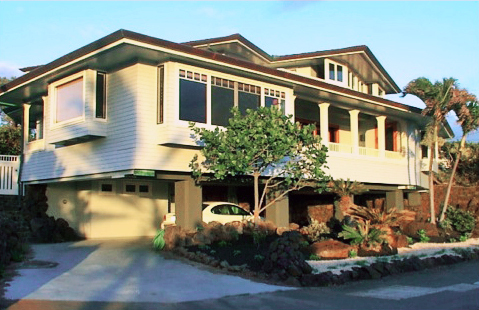 Just inside the Black Point Association gates is a home with sweeping views of Kahala Beach and Koko Head. 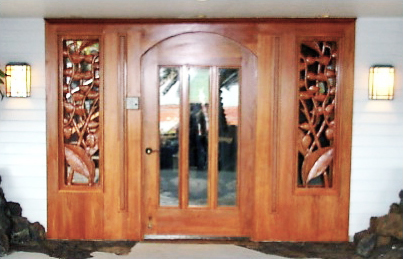 The custom carved entry doors prepare visitors for the stunning interiors in the rest of the home. 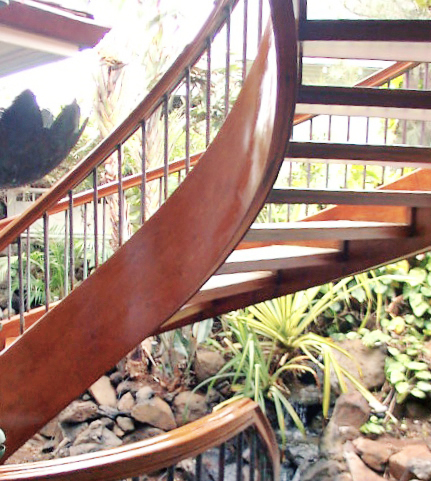 A 3-story circular staircase wraps around a koi pond and links the entry level, living level, and master suite. What began as a remodel project became almost a total rebuild. The house was built around this charming tree which both enhances and protects the entry. You can see the new upstairs loft area which is flooded with light and makes a perfect play or study area for this growing family. Window seat at the front of the house looking onto the front yard. Kama'aina family's new house near the beach. Verandas and landscaped yards surround the house on all sides. This beautiful beachfront property is the summer retreat for two families. 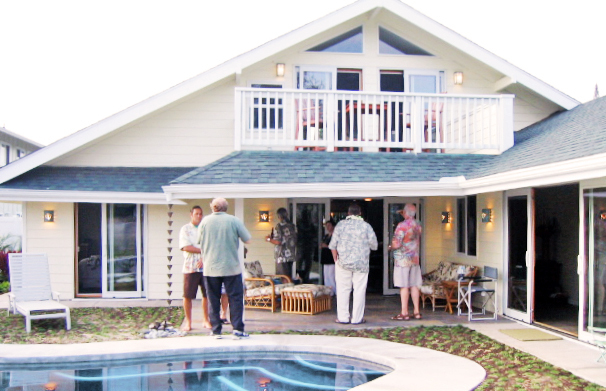 Its gracious kama'aina style captures the best of island living. The developer of Na Pali Haweo (above Hawaii Kai) asked Tom to do a model house to help get sales going. It won 2 Parade of Homes awards. Soon after, the owners of the 2 lots next door said they liked it so well they wanted him to design their homes. This home is next door to the model home & followed a similar floor plan. Towering doric columns, graceful arches, and state of the art lighting frame a drop-dead view of Koko Crater. Just down the street from the previous two, this house was designed to take full advantage of the sweeping views of Koko Crater and the Pacific Ocean. These beautiful Mediterranean style homes were built with fabulous views of Koko Crater and the Pacific Ocean. 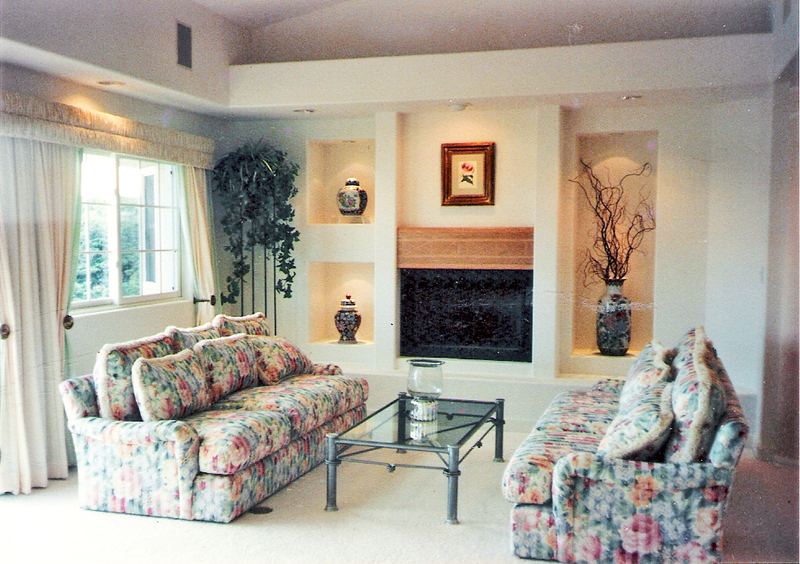 They were finished with superb architectural detail and the finest of finishes--truly luxurious homes. 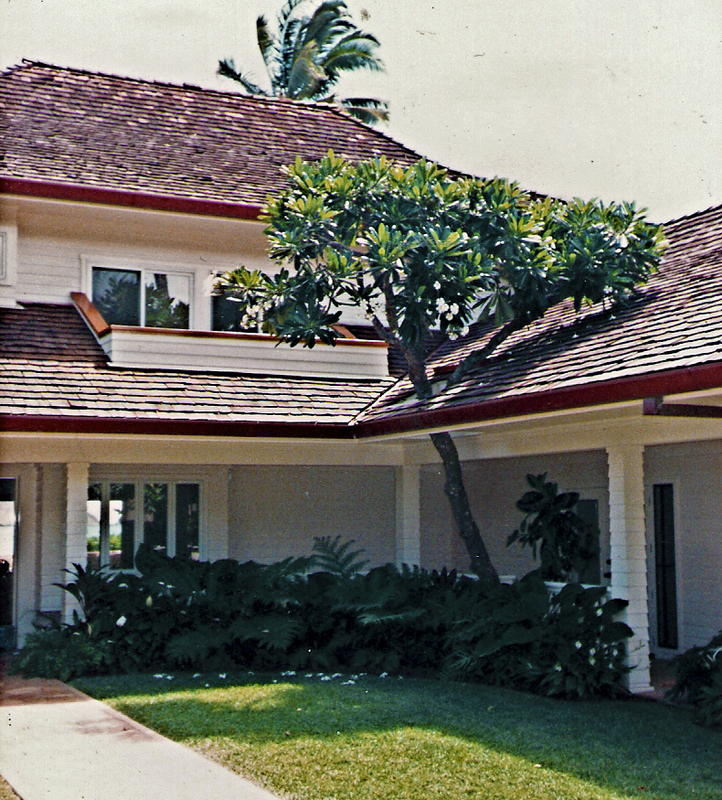 This was the beautiful oceanside home of the late Doris Duke. 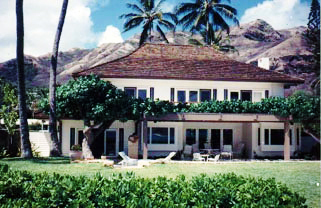 It is now the home of the Doris Duke Foundation for Islamic Art. While working for Architect Lou Pursel, his future father-in-law, Tom worked on site drawing plans for the installation of some of the many artifacts she brought back from the Middle East -- wall panels, ceiling panels, ceramic tiles, and a rare mihrab, shown here. When planning your new home or addition, estimate your costs at the going market rate. Don't count on "miracle workers." Add a 10% contingency factor to your budget to cover the unforeseen. Be careful not to overbuild for your neighborhood.